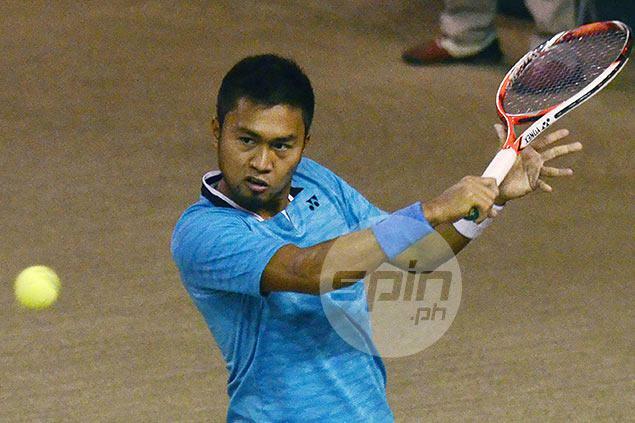 JESON Patrombon and Francis Casey Alcantara rolled past their respective foes in the reverse singles on Sunday to help the Philippines complete a sweep of the first round Davis Cup Asia/Oceania Group II tie at the Valle Verde Country Club. Patrombon survived a testy first set before cruising in the second against Abdulhamid Mubarak, 7-6 (5), 6-3, while Francis Casey Alcantara beat Ali Ghareeb, 6-2, 6-1, to formally claim a 5-0 sweep of the first round tie and keep the Philippines' quest to return to the Group I stage rolling. “I’m excited to face stronger opposition in the next round. I strongly believe our team has got what it takes to move back to Group I next year,” said Cebuana Lhuillier-Philippines team manager Jean Henri Lhuillier, who is also the chairman of the Philippine Tennis Association. Non-playing team captain Karl Santamaria sees this year as the team’s biggest chance to reach the Group I stage as the Philippines will once again host the second round tie slated from July 15 to 17 against Chinese Taipei. “We have to play like a well-oiled machine by helping each other raise the level of play that we have right now,” Santamaria said. The tie began with Patrombon securing a 6-0, 6-2, 6-1 win over Abdulrahman Alawadhi before Ruben Gonzales escaped with a gritty 7-6 (2), 6-2, 1-6, 6-7 (6), 5-5 win over Mohammad Ghareeb, who retired due to a pulled groin muscle. Treat Huey and Alcantara beat Alawadhi and Mubarak, 6-1, 6-1, 6-2, in the doubles to take the best-of-three tie.